Explore authentic Rhode Island places with the Rhody Ramble, an adventure at 31 historic sites around the state. A year-round calendar features events, tours and programs designed for children and their families. The Rhody Ramble is run by statewide advocate Preserve Rhode Island. Take a Ramble with a Rooster! Ever wonder where to take your kids for some quality family time away from the daily grind and the lure of video games? Historic sites and house museums might not be on your short list of family-friendly spots to explore, but these places offer many programs and hands-on events designed just for family visitors! The Rhody Ramble works to gather events from 31 participating sites across Rhode Island – 12 in Newport County – to make it easy to find new places. Led by cartoon mascot Rhody the Rooster, RhodyRamble.org connects families to fun, authentic events in their community. Searchable by type or date, it’s easy to find new experiences with details about location, cost, contact information, address, and maps. Activities range from fall festivals and outdoor walks to museum scavenger hunts and hands-on programs ― perfect for all types of adventurers! With most admission prices under $10 and lots of free events, the activities you’ll find are designed to maximize fun at an affordable cost. Rhody the Rooster shares these adventures on Twitter, Facebook, and in a monthly email—delivering suggestions for upcoming events right to your screen or inbox. See where scoundrels lived, pirates profited and criminals were punished on an engaging stroll through the historic streets of Newport. These family-friendly tours work for those with little ones in strollers as well as older kids curious to hear about the dastardly deeds of the city’s early residents. 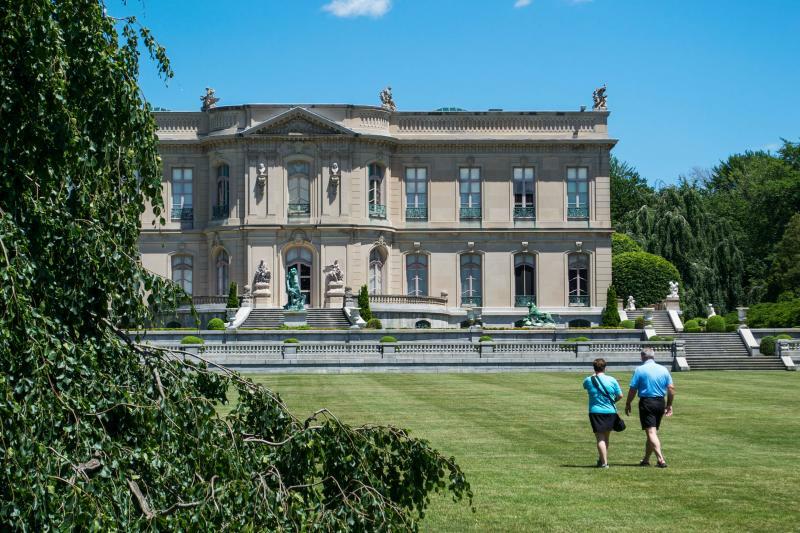 Residents of all Newport County communities are invited to enjoy free admission to all of the Preservation Society’s properties: The Breakers, Chateau-sur-Mer, Chepstow, The Elms, Green Animals Topiary Garden, Hunter House, Isaac Bell House, Kingscote, Marble House & Rosecliff. Just show proof of residency! Celebrate the simple life with friendly competitions, games, lively music, dance, hay rides, pony rides, a bake-off, and much more. Against the backdrop of a working 18th century living history farm, discover one-of-a-kind handcrafted items from talented vendors and munch on old-timey vittles. Do your children have a penchant for acting out their imaginations? 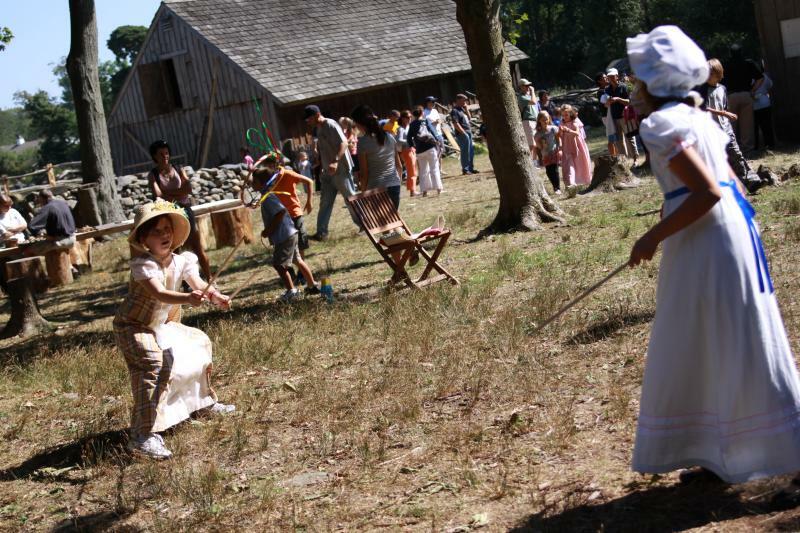 Meet costumed interpreters and the upper-class residents of 1770s Rhode Island they portray. Explore tea brewing, tea etiquette and the place of tea in colonial America, along with the influence of politics on this popular practice. Climb the lighthouse tower&apos;s spiral staircase to the tower&apos;s watch room and onto the gallery deck. 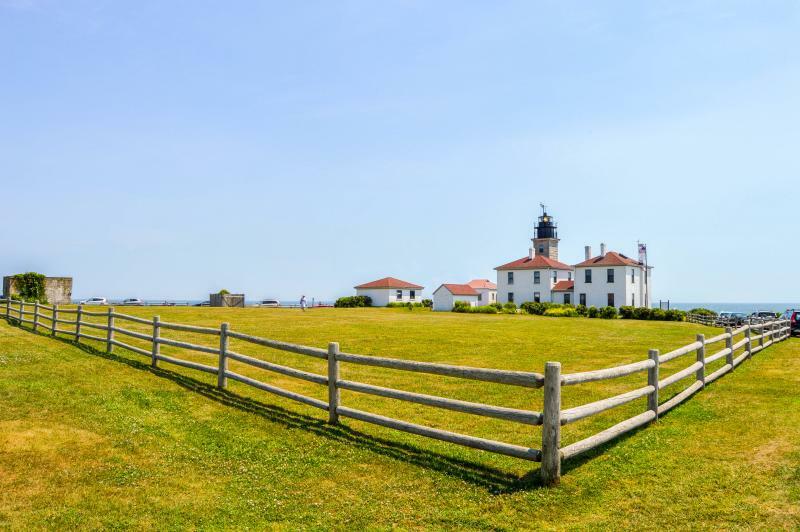 Enjoy a panoramic view of Narragansett Bay during one of the final tower openings of the year. Learn about America’s 3rd oldest lighthouse as you explore the museum&apos;s outstanding exhibits. Check out a complete calendar of Rhody Ramble events at RhodyRamble.org. Morgan is the Marketing Communications Manager for Preserve Rhode Island, the statewide advocate for historic places. During her 6 years working in Newport, she discovered many of its hidden treasures and loves to come back to visit. She also loves road trips, visiting museums and exploring new places with her husband and their inquisitive 9-year-old son.